Welcome to the Share With Me Blog Hop where I have enjoyed linking up for a long time now myself. After almost three years, the lovely Jenny from Let’s Talk Mommy has decided she needs to pass the reins due to work and family commitments. I’m the lucky girl who now has those reins and feel very flattered that Jenny asked me. I do hope you will stick with #sharewithme through the early teething issues and continue to join in each week. Jenny will be linking when she can and still visiting your lovely blogs I am sure. 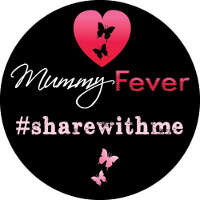 Do go easy with me as I am new to this hostess lark and feel free to contact me at @MummyFever or info@mummyfever.co.uk if you need to. My favourite post from last week came from Tim at Slouching Towards Thatcham, the post was called “Will the EU referendum leave a broken United Kingdom for our children“. During what was an odd and anxious week for so many people, Tim questions what happened to “the spirit of 2012”. It’s really worth a read if you haven’t popped over already.